The minimalist style is popular in the design industry. But just because it has become increasingly popular doesn’t mean that it’s that simple to practice. Anyone can try doing it, but not everyone can achieve it. One of the most essential elements in a minimalist design is typography. Let’s face it, you can’t do justice to minimalism with pre-installed fonts like Arial, Century Gothic, Georgia, Verdana, Times New Roman, and etc. But frown no more! Here are 30 sleek fonts you can download for free that could fit perfectly on your minimalist designs. 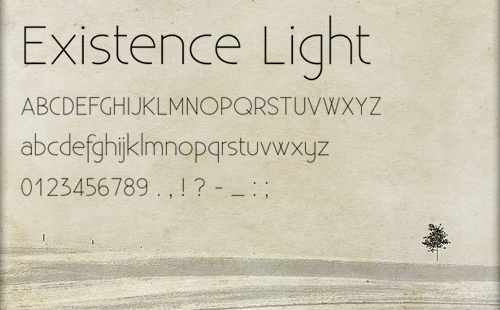 Just remember that each of these fonts will blend differently with different elements. Try out several samples for your design and don’t be afraid to experiment with your font’s sizes, spacing, leading or kerning as well. Enjoy!